TO CREATE, DISCOVER, DELIVER AND PERSONALISE LEARNING. Our powerful diagnostics create intuitive and meaningful dashboards that set your users clear learning goals. Dynamic learning plans tailored to the needs of each learner. Clevara's planning tool keeps teams, classes and individuals focused on their optimum learning path. A built-in CMS, plus Authoring, Content Management, Tagging and XML-based storage make it easy to create, discover and deploy your data assets. 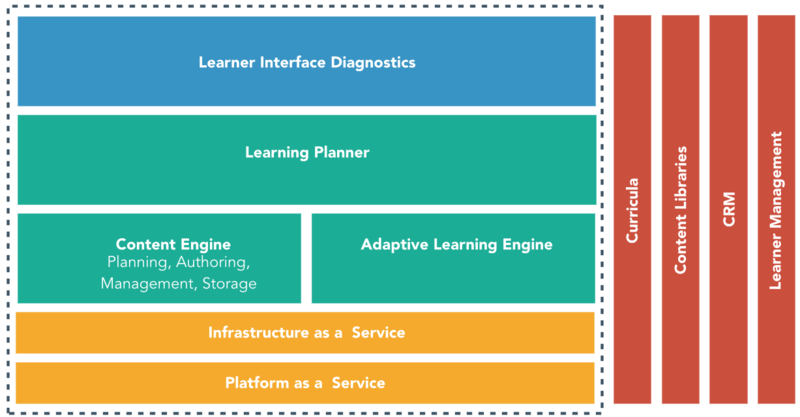 Clevara's intelligent Machine Learning allows content to adapt to the needs of the user, delivering powerful, tailored learning solutions. Our modular platform and end-to-end capability allow us to quickly get your solution to market. We solve the triple challenge of coordinating and implementing (1) a market leading learner outcome framework, at the same time as (2) delivering personalised learning pathways, and (3) revamping your content strategy. Clevara is a holistic, end-to-end platform that helps businesses and learning institutions overcome the challenges inherent in implementing advanced learning technology. Avoiding technical complexity, Clevara has been designed as a practical solution to business problems. What is the difference between Clevara and an adaptive solution? Clevara has adaptive learning built in. But that isn't the only reason you should choose Clevara. Whereas a standard adaptive framework is a blackbox, with all the limitations that implies, our integrated solution means content is created, structured and powered by Clevara. Clevara not only has market leading adaptive capabilities, but it combines them with content authoring, storage, tagging, benchmarking and many other powerful features that get you to market quickly. Can I combine it with my existing platform? Our modular approach allows each of our components to be integrated individually into your organisation. However, the holistic nature of Clevara means that its true power comes from all the elements working together to deliver a single, synergistic solution. We offer annual payment options to suit every budget. We have access to a wide range of curriculum-mapped content that be made available to your leanring institution. Clevara also has powerful content authoring solutions and the ability to plug into any standards compliant content library allowing us to create a tailored content repository that helps you uplift learner outcomes. What about teacher/ parent engagement? For our K-12 solutions, teacher and parental engagement is key. Our powerful analytics engine captures every interaction, allowing customised rpeorts for not only teachers and parents, but head teachers and school leaders, government ministries, Local Education Authorities. What about analytics for other learners? We know reporting is key. We've built Clevara to handle every reporting need. Powerful analytics drive answers. That could be answers to a board about corporate compliance, answers to a healthcare trust about standards. By Benchmarking, diagnosing and adapting, Clevara can provide detailed insight into any learning experince for anyone, at any level.